TENAX Elk & Deer Fence is recommended for those experiencing the greatest elk and deer pressure and want a secure, rigid and durable barrier for a residential property or commercial land. Combining this fencing with a monofilament tension line makes this the ultimate barrier against elk and deer. 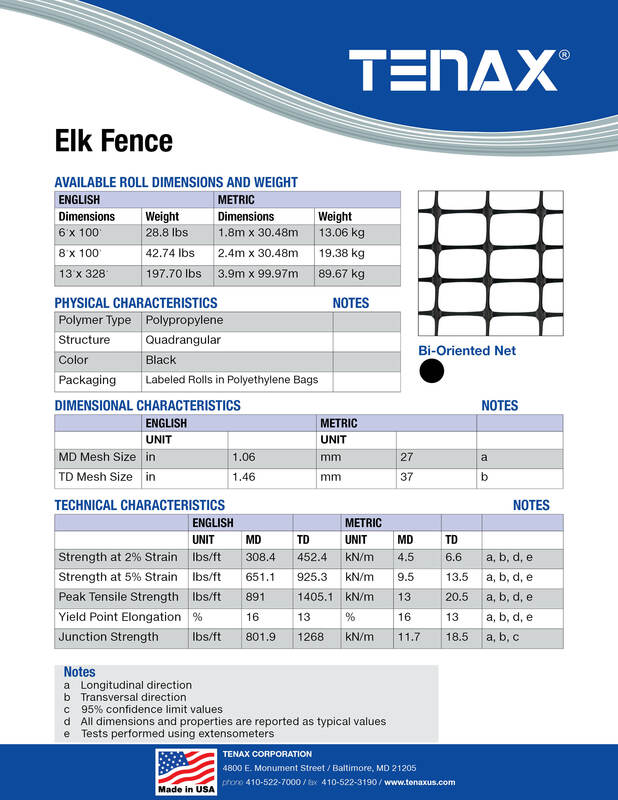 What makes TENAX Elk & Deer Fence THE right choice? TENAX Elk & Deer Fence is simple enough for anyone to install without the help of a professional. This fence is a lighter weight, yet durable alternative to more costly and complicated fence systems. Installation with our no-dig ground sleeve post system and UV treated heavy duty ties is simple enough for anyone. Once installed, this elk & deer fence will require little to no maintenance. The UV-resistant coating makes this fencing material incredibly durable, and will remain tough even after years of harsh weather. The black color makes this fence virtually invisible from as close as 35 feet.